يقع Manly Guest House في Manly, سيدني, هو خيار شائع بين المسافرين. يسهل الوصول إلى هذا الفندق ذو 3 نجوم من المطار، فهو يبعد عنه مسافة 25 km فقط. كما يمكن الوصول بسهولة إلى مانلي اكويرم, مانلي, دايف سنتر مانلي. 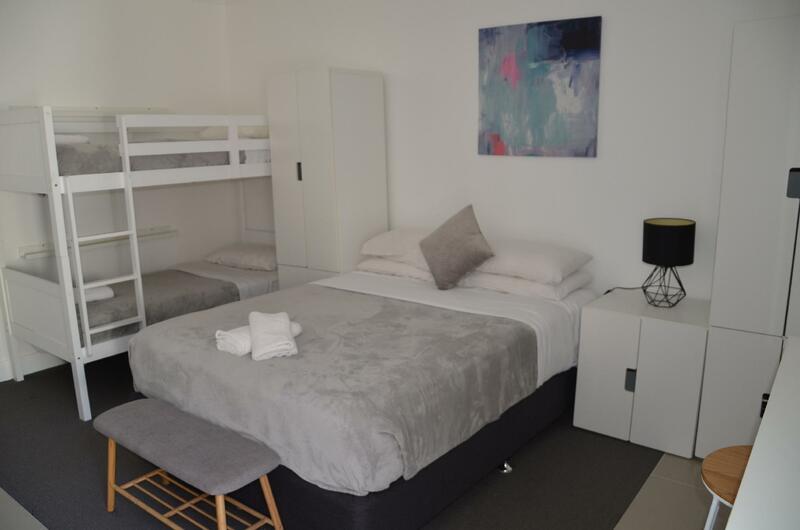 يقدم Manly Guest House خدمات لا غبار عليها وكل أشكال اللياقة وحسن الضيافة اللازمة لإسعاد ضيوفه. يقدم الفندق فرصة للاستمتاع بشريحة واسعة من الخدمات بما فيها: واي فاي مجاني في جميع الغرف, تخزين الأمتعة, واي فاي في المناطق العامة, غرفة عائلية, جرائد . بالإضافة لهذا,تتضمن كل غرف الضيوف مجموعة واسعة من وسائل الراحة . بعض الغرف توفر حتى تلفزيون بشاشة مسطحة, اتصال لاسلكي بشبكة الإنترنت (مجاني), غرف لغير المدخنين, تدفئة, مكتب لإرضاء أكثر الضيوف تطلباً. سواء كنت من محبي الرياضة أو كنت تتطلع لتفريغ عناء نهار صعب، ستجد خدمات ذات مستوى عالي بانتظارك كمثل حديقة. 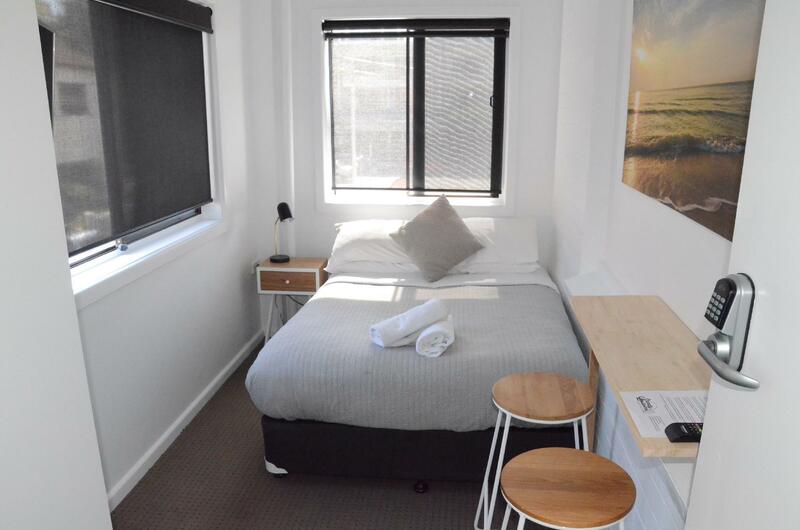 اكتشف مزيجاً ساحراً من الخدمة الاحترافية والخيارات الواسعة من وسائل الراحة والمتعة في Manly Guest House. يُرجى العلم بأن ساعات عمل مكتب الاستقبال تمتد من الساعة 09:00 صباحًا إلى الساعة 05:00 مساءً يوم الإثنين إلى السبت، وتمتد من الساعة 10:00 صباحًا إلى الساعة 04:00 بعد الظهر يوم الأحد. بالنسبة للنزلاء الذين سيصلون خارج هذه الساعات، يُرجى الاتصال بمدير الوردية الليلية، ويمكن إيجاد رقم الهاتف على باب مكتب الاستقبال. Parking was limited, and expensive. The guesthouse is well managed by the new host family and it is looking better day by day as it is getting a face lift. 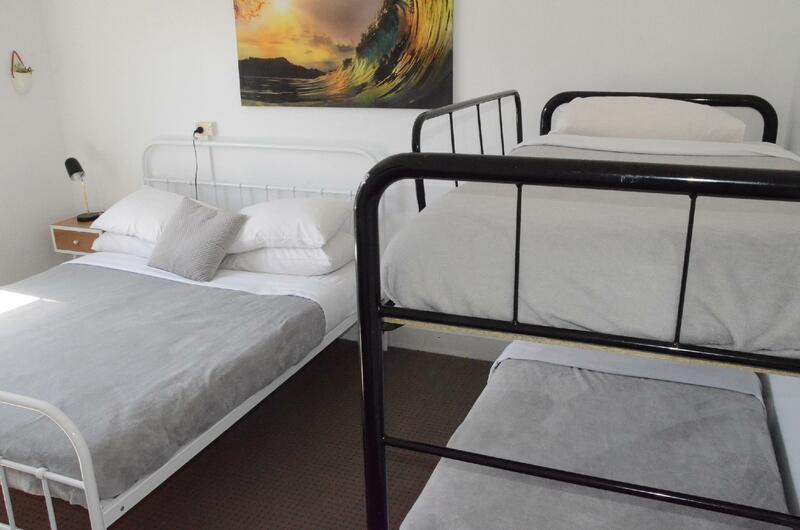 It has good variety of rooms (from single to large family rooms) and a well equipped shared kitchen. The whole house is kept very clean. 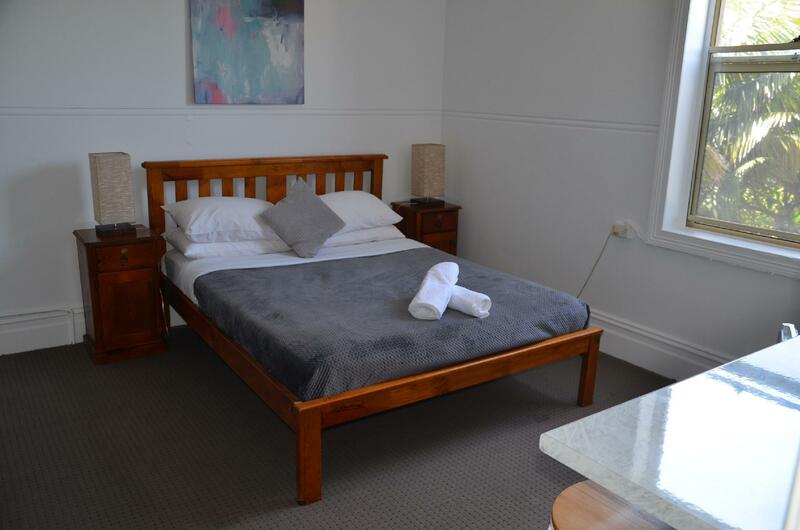 We loved our stay at the Manly Guest House. The new managers were great and we loved having a kitchen handy to cook meals during our extended stay. I would highly recommend and we will be back! Thank you for your review Buddy, we look forward to welcoming you and the boys back sometime in the future!!! This is very basic accommodation. My room was tiny with little else than a bed. A hand basin would have been appreciated. On the plus side was the location, the hosts who were very welcoming and the fact that the entire place was so clean - a big plus for me. Thank you, we hope that you will stay with us again one day!!! Thank you Carlie, unfortunately Sydney is expensive and we try to keep costs quite reasonable to allow all travelers to enjoy and experience Manly!! Hopefully we will see you again..
Hye To be helpfull to other traveler to take decision,this hotel is great in location,bad in room size(knee touching wall),very bad in staff(night supervisor)one old man who half blind and managing room at night! Hye,they have lousy night supervisor to spoil all the hotel reputations.One old man who give hotel room to differents bookings.Once u checkin late be prepare to see your bedroom fully occupywith other strangers.Like mine is one chinese family.Be prepare to get smaller room as alternative. Great staff, excellent location, very clean and tidy. 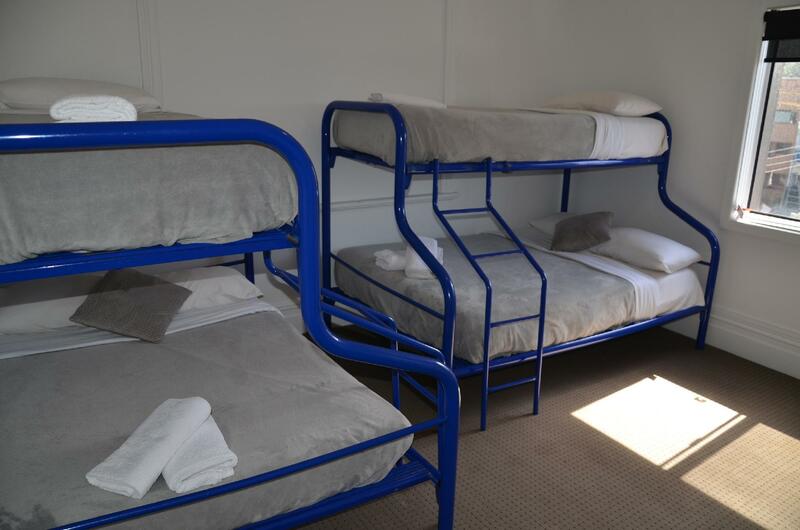 Excellent budget accommodation. Close to beach. Clean. And friendly. Good price, clean, good location. Fantastic. I didn't really use the kitchen, but the whole stay was very enjoyable and quiet. I would highly recommend if you do not mind sharing bathrooms as it is in a fantastic location and very clean. We will most definitely stay there again it was perfect! Good central location, close to the beach but with limited parking spots. Good facilities however room was slight small for 3 people. Stayed for two nights with a friend in a twin room. Room was tiny with a bunk bed. No airconditioning, a fan was provided but no flyscreen on the window, so we had to keep it shut during the night and the room was quite hot. Otherwise we were happy. The shared bathrooms were very clean and we never had to line up. 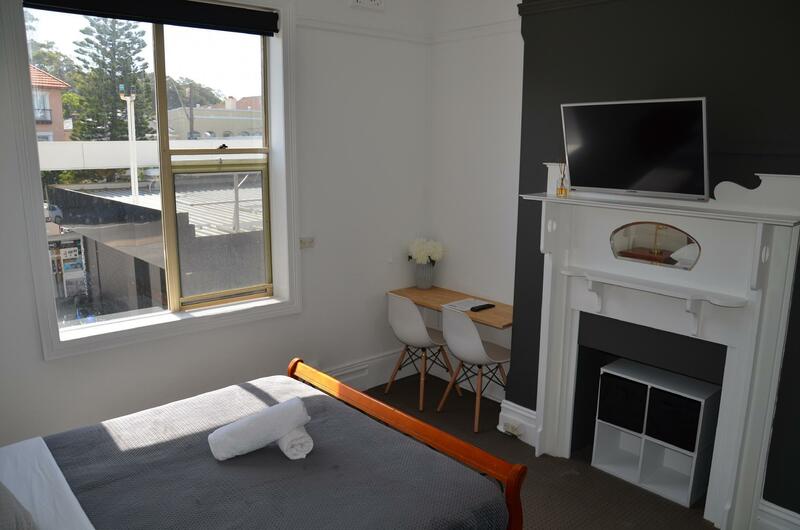 The location was convenient, only a 5 minute walk from the main corso. Staff was very friendly and helpful.